Mia and Elliw love bath time. If they could, they would play in the bath for hours. Of course, after each bath the floor is soaked! With all the splashing and throwing water at each other. Mia used to be petrified of the water on her face, but now she is getting really confident of the water. Finally! Elliw loves water. She doesn't mind water being chucked at her face, she laughs. Which I think is great, as she is so confident with the water. We have been reviewing some Professor Scrubbington's bath products. As the bath was filling up, the girls decided to play with the bubbles and make themselves look like Santa Clause which was pretty funny. 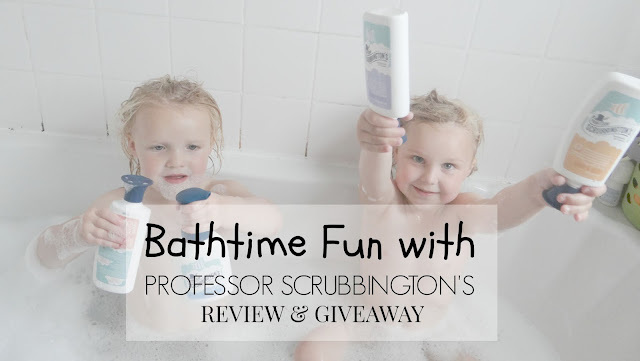 Professor Scrubbington's is a new range of natural personal care products aimed at primary school children. They're stylish bottles are perfect size for little hands. They are 98% natural with no parabens, colourants or SLS. Inside the bottle is liquid and you squeeze the tube that is attached to the lid and it transform to magic foam! So much easier to wash their hair, body, hands and face. The smell of the products are very fresh and is naturally gentle & moisturising for all skin types. Mia, Elliw and I were very pleased with the products we received. They look great in the bathroom and we shall be using them at every bath time. They are sure to last a few washes. Professor Scrubbington's products are not in leading stores just yet, but keep an eye on them later on in the year. You can see more by visiting Professor Scrubbington's website. Receive a deduction code on your first order by entering BM20. 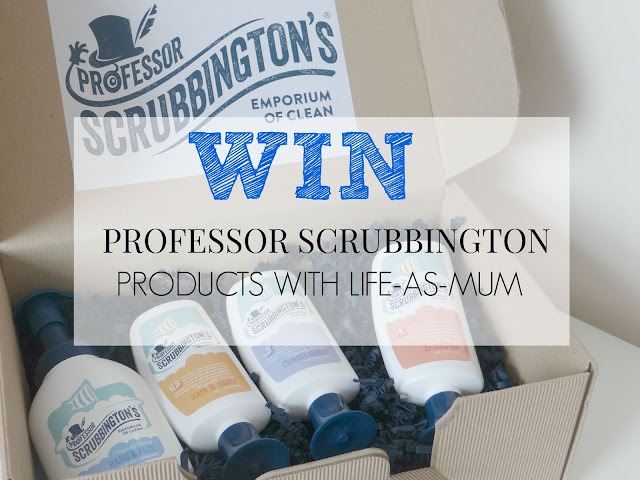 Now that Mia and Elliw have tested these and given you all a review, me and Professor Scrubbington's are giving one lucky winner the chance to WIN the same pack as we received! To enter, all you have to do is read the Terms & Conditions carefully and then enter the Rafflecopter below. Good Luck. 4. No cheating. You will be disqualified. My giveaways are comper friendly. Anyone can enter, aslong as you enter correctly and follow the rules. Yes, all my four little ones love their baths! Yes they all do, thanks for the lovely giveaway. all mine have loved bath time! Yes! They love it....I often have a fight to get my youngest out. my eldest (almost 3) loves it and i can never get him out! my 10 month old only likes the Shnuggle baby bath, not the big bath! not particularly, we have some tantrums before getting in lol! Yes because they love playing in the bath! Yes....until the hair wash begins! My son doesn't like getting in the bath... but once he is in he won't get out!!!! Once hes in he loves it but its getting him in thats the problem! Sometimes, but it's a nightmare if he's slightly to tired! he complains at having to get into the bath but once in he'll spend ages in there. Gosh yes, she's obsessed with bath time or being in water in general. Yes,they don't like getting out! Mine love it, total water babies! They love it - would be in there hours if they could! At first they didn't but as they have gotten older it's often hard to get them out of the tub! They cant get enough of bathtime! We vary between liking it and hating it. Love playing with toys but hate having hair washed! Yes when they want to! Yes, all 4 of my children love it. my grandaughter loves bath time! Mine both love bath time - they'd stay in all night if I let them!! Yes, it's a hard job to get them out!! I can never get my daughter out of the bath! My youngest loves it, my eldest loves it until I wash her hair then she screams as she doesn't like water in her eyes. loves it! full of toys! 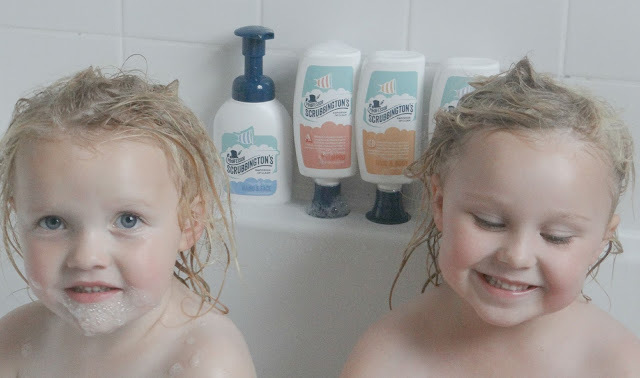 My girls have always loved bathtime as long as there were no stray splashes - they are wusses! My grandaughter loves it - as long as there's something to play with or make bubbles with! Ellie loves bathtime, especially as her baby brother can now join in the fun. My daughter goes through phases where she likes and then hates baths. Its probably their favourite time of the day. My daughter loves baths but hates hair wash. Most of the time but she is a toddler and can decide that it's the worst thing ever on occasions! He loves it, even when all the water has gone! My daughter loves bath time ,she loves splashing about and playing with her bath toys! 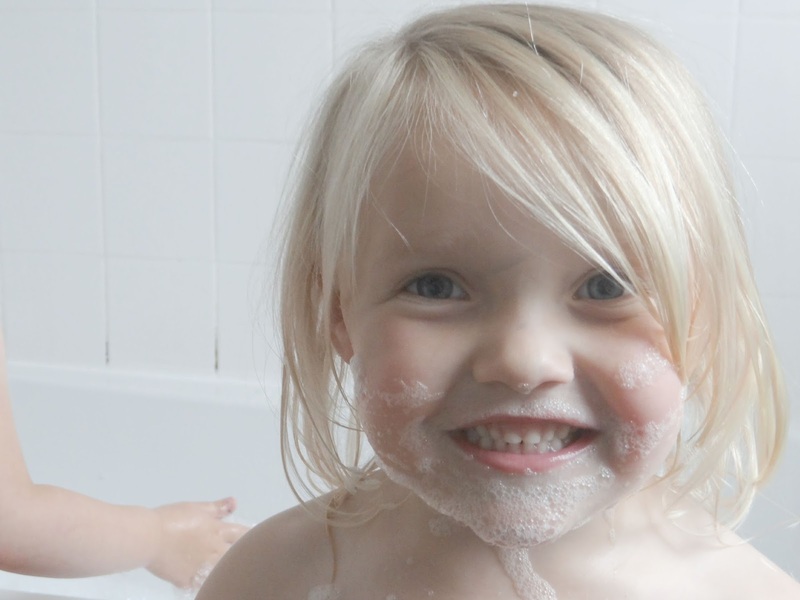 My grandchildren all enjoy their bath times. they LOVE it. Probably something to do with how many toys they now have in there, more than in their room. My little man loves his bath time - he never wants to get out! Have not you tried to bath using small baby seat? It is very convenient. You can choose a right one at http://www.bestshowerchairs.com/ In addition, children enjoy something new.